The average person does not love shopping for car insurance, the reason being that it is hard work. Not only do you want the best deal available, but you also need to avoid the common mistakes that car owners make every year. 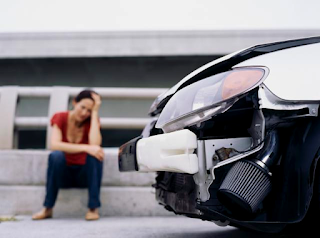 To avoid these mistakes, everyone wants to know about the tips that will transform the way they purchase car insurance. But, there is another way, and that is to look at the mistakes people make and how to avoid them. Only with that knowledge can you be certain that you won’t follow the beaten path. The first quote that most people come across is not the right quote. Just by going with the percentages, you can be pretty confident that there are better deals on the market. Playing the market is the responsible thing to do because you can always go back later. Car insurance companies will offer you the same quote a couple of days later because they want your business. Don’t let an insurance representative pressure you into a uniformed decision. Before you make your final decision, you should know everything about the deal. The last thing you want is a surprise later down the line because they can cost you a fortune. It is important to ask every question on your mind. A little tip is to write down your questions, so you don’t forget any. After all, you want to make them work for their commission! Your friends may be getting a good deal, but that is because of their individual status. You are a different person and, therefore, your insurance policy will reflect that fact. There are a lot of different factors that could make your policy cheaper or more expensive. For example, the years you have been on the road and the amount of accidents have an effect. Because no two drivers are the same, no two policies are the same either. Comparaencasa and other comparison websites are essential if you want the best deal. It is possible to find a good deal without their help, but it takes a lot of hard work. In fact, it would require you to ring up every insurance company on the market and ask them for a quote. Alternatively, you could find all that out at the click of a button. When you don’t compare the market, you cannot be sure that you have the best possible deal. For all you young drivers reading this post, if you are driving the car, it is your car. Okay, mum and dad might be able to get you a cheaper quote. However, the negatives outweigh the positives in this case. Firstly, if you are the main driver but the policy says otherwise, it is fraudulent. And secondly, you won’t get all the benefits of being the main driver. All you get from the deal is a bit of cash slashed off the monthly repayments. In the grand scheme of things, it is important to take responsibility for your car.